Kate incorporates shamanic approaches in her therapeutic and coaching services. 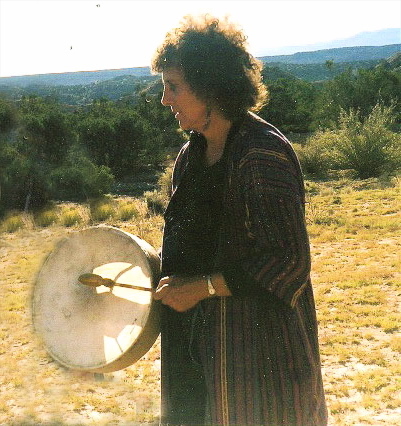 She uses energy work, crystals, drums, rattles,vocal harmonics, Tibetan and crystal singing bowls, bells, gongs, toning and chanting to induce a trance state and guide the shamanic journey experience. The goal is to help her clients open to inner vision, wisdom and guidance, re-awaken ancient memories, connect with their power animals, spirit teachers and allies, experience other realms and dimensions of existence, recover and re-integrate the fragmented lost soul parts of themselves and return to a state of health, wholeness, and oneness with all. In shamanism, all physical/mental/ emotional dis-ease is seen as a loss of soul, a lack of connectedness with spirit and the flow of life force. 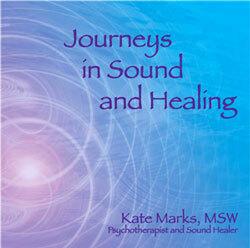 In her own life, Kate has had powerful initiatory, life changing and mind expanding experiences through shamanic work. She has done sweat lodges, vision quests, sacred pilgrimages, soul retrievals and ceremonies and received medicine teachings and training from many teachers including Sandra Ingerman John Perkins, Sun Bear, Rolling Thunder, Brandt Secunda, Brooke Medicine Eagle, O’ Shinna Fastwolf, and Dr. Alberto Villoldo of the Four Winds Society.